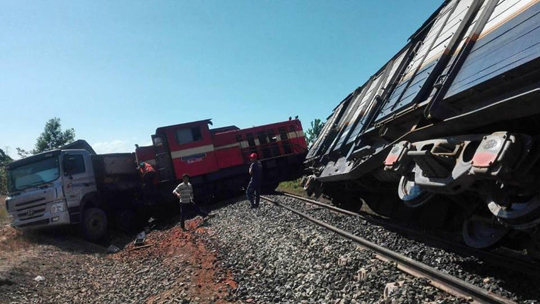 Phnom Penh, Cambodia News: On February 11, 2019, this morning at 10:15 am, a Hyundai truck full of soil crashed into a train which traveling from Phnom Penh to Sihanoukville, in Prey Tol village, Prey Nup district, Sihanoukville. 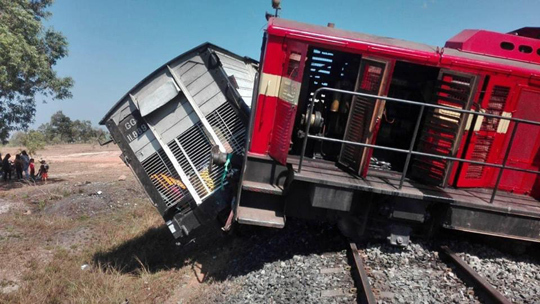 The police reported that a soil delivery truck without license plates was being driven in the direction from west to east, until it crashed into a passing train. 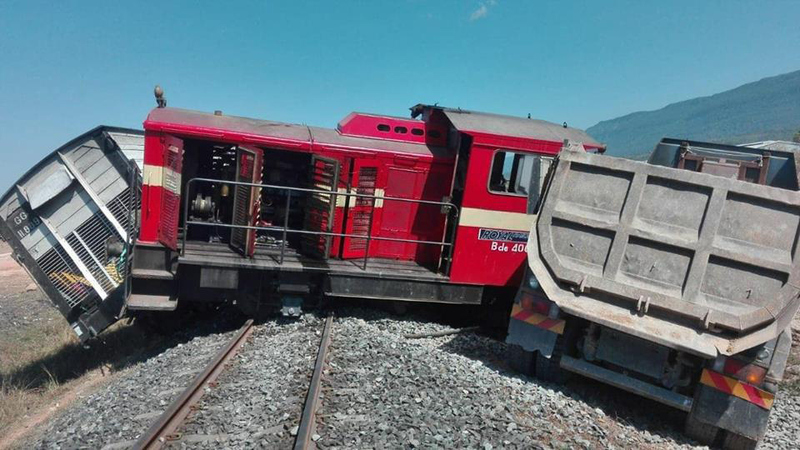 The impact of the accident was such that it derailed the train. Fortunately, there was nobody injured in the accident, but the truck driver jumped out of his truck and ran away. The truck was towed to keep at Prey Nup police station while police investigate the incident. That truck does not seem to be damaged much. Cambodia,,,, Don't fall in love with her. Like the spoilt child she is, she will not be happy till she destroys herself from within and breaks your heart. 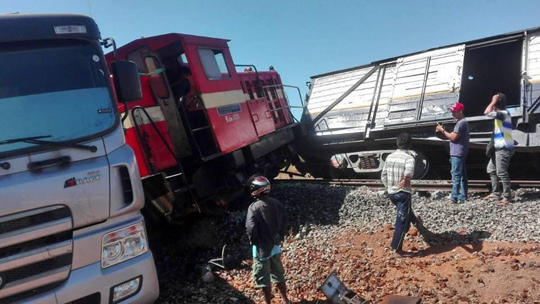 Yes but if the truck was coming from the right it had the right of way and the train should have stopped !!!! !, most likely truck driver didn't look either. I love how all these vehicle crashes have the same "the driver ran away" lol. Just thinking of some scared bloke running for 5 hours brings me a slight chuckle. Another nasty motorbike accident involving westerners occurred yesterday in Phnom Penh. Posted on social media yesterday by Ken Pascho.